After more decades than I’ll admit to as a subscriber to The Boston Globe, I cancelled my subscription this past week. In case you’re not a New Englander, The Globe has suffered notoriously in the wake of its bungled effort to cut costs by switching delivery contractors. They apparently did so without first assuring their chosen replacement had the capacity to deliver their newspapers as widely, timely, and consistently as their former delivery contractor. They didn’t have that capacity, and still don’t. In what has been widely reported as a logistical nightmare, thousands of subscribers have had their morning rituals disrupted by this procurement debacle. Some of us were able to find solace in the online version, but that’s not the service to which we’d subscribed. And getting payment credits upon complaint is no substitute for getting what we were paying for and had delivered quite regularly before they decided to risk their very reputation on this poorly-executed cost reduction effort. The final straw for me wasn’t another day of no delivery, but getting my Sunday edition actually delivered…on Monday. Enough already. Of course, we’re still receiving the paper after canceling our subscription and with better regularity than when we subscribed. Such randomness in business is a sign of a lack of business controls that suggests there may be more problems underway than a failure to manage their delivery operations. Here you have a classic example of what can happen when you attempt to cut operating costs without proper planning and thorough consideration of the risks to your business if things go awry. It’s quite likely The Globe’s ill-fated exercise in cost-cutting will cost them more in revenues and reputation than it saves in expense. That’s a negative ROI no matter how you slice it. Which is what happens when you fail to consider the blowback that can occur when your cost-cutting alienates customers and clients, including your internal customers – your employees. If your business would be enhanced by converting your employees into referral-generating ambassadors for new business – and who’s wouldn’t? – then employing short-sighted tactics that save a few dollars at their expense is decidedly counter-productive. 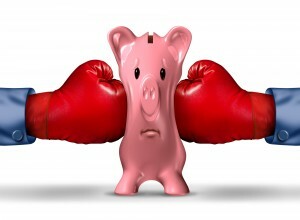 And there’s absolutely no reason to be shady or ham-fisted in managing your business expenses, not when there are so many ways to reduce costs that are legitimate and beneficial to employees and customers, as well as your bottom line. A leaner operation, after all, is usually more efficient and that can translate into products and services that are better, faster, and cheaper – a win-win for the business and its customers alike. Tax credits are far more broadly available than most businesses realize, and not just for energy improvements. Hiring disadvantaged employees – veterans, the disabled, low-income and other disadvantaged populations – may be eligible for tax credits, as can many product and process improvements many businesses undertake simply to remain competitive. None of these are damaging to your business and none risk backlash of any kind since they’re encouraged by the IRS. Other tax savings are possible with cost segregation studies of company-owned buildings and land improvements. And these are even recommended by the IRS as long as they’re implemented by qualified engineering experts. Most every business overpays for much of their credit card merchant processing fees and workers comp insurance premiums due to the various errors and misclassifications that occur with these vendor services. 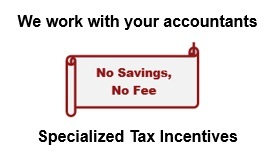 Our team of specialists in these areas routinely save clients 10-20% and more in these recurring fees and expenses. These can all be explored risk-free, with no fees required if savings aren’t found. In the case of cost segregation studies, for example, the fee to accelerate depreciation of select building components that lowers taxable income is capped at 10% of savings. That translates into a risk-free 10:1 ROI. Try matching that kind of return anywhere else among your business opportunities. The Globe’s delivery debacle illustrates the folly of mistaking lowest cost for best value. Don’t make the same mistake when it comes time to lower your business costs – which should, of course, be right away if you’re employing sound business principles. Just be sure not to confuse lowest cost with best value. The difference could make or break your business – a lesson The Globe is learning the hard way. To schedule a free consultation, click here.